The terrorist attack on the New York World Trade Centre on the 9th of September 2011 was a conspiracy. So, what happened was, America became fundamentally fed up with the rest of the world getting dates wrong and decided to offer the ultimate sacrifice: the lives of its own people. As you can see, America is on its own in its date formatting, making things extremely inconvenient for the people who work in office based jobs there. As a result of this, the American government listened to its office workers and decided to take action. How would America do this? It needed a huge branding exercise involving a number that everyone recognises and a date for it to conform to. However, this can’t just be a normal branding rollout, using commercials that cause people to change the channel and ignore. This needed the ultimate commercial, national news on every channel on the planet. The only thing that would achieve this is an act of war and a mass murder. Who would be the sacrificial lambs of this endeavour? Who will take the place of the messiah, Jesus and spill blood so that their countrymen would no longer have to decipher whether 12/01/2001 means the twelfth of January or the first of December? Well of course, the office workers of America. They’re the ones who are so hell bent on not having to send extra emails to their international colleagues. They’ll have to take the hit. Nobody knew the time, place, or circumstances, just like the second coming of Christ. The time was the 11th of September 2001 (or as Americans call it, 9/11), and the place was the World Trade Centre. The biggest office space of them all. When everyone in the world questioned the fact that the 9th of November 2001 was two months away, so could not have been the date of an event they’d watched on television that day, America said 9/11 means the 11th of September. Also, the number for the emergency services in America is 911, and the real heroes of that day were the emergency services, even though basic training dictates that service people should never run into a burning or collapsed building. 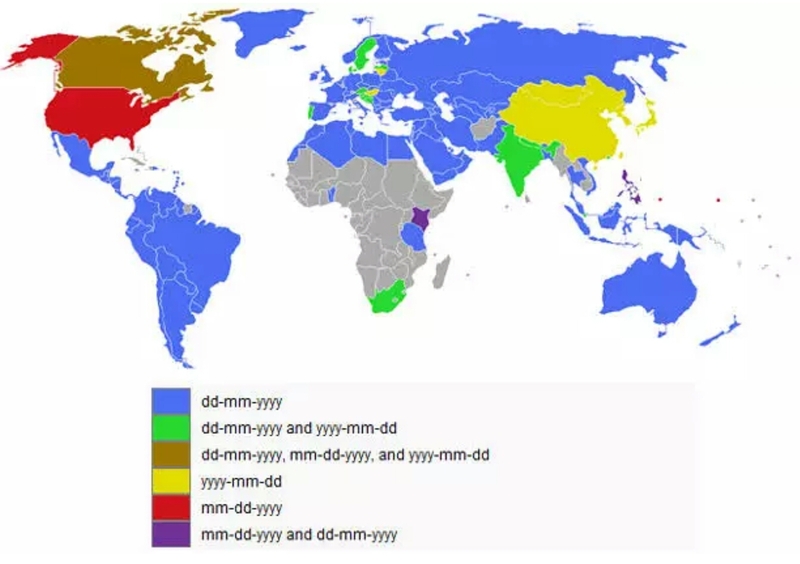 So, thankfully, nobody will ever get confused about dates again now that America’s mass, global marketing campaign, and subsequent overthrowing of foreign governments in Arabic nations who can’t write numbers in the correct order, despite having invented the numerical characters used worldwide today.